How Can Inspection Machinery Improve Your Packaging Business? If your business makes products that require packaging, you understand the importance that a strong first impression can create. Nowadays, with so many innovative options when it comes to packaging uses, materials, processes and more, it may be difficult to establish a quality controlled process for packaging your produced items. Having the right machine that is able to detect defections, avoiding costly waste, is a cost-effective way to upgrade your current converting operation, like the Karlville Inspect S machine. It is normal for a converter that is currently available on the market to utilize slitting and rewinding, typically the last process before shipping, to identify and alter defect issues. However, you cannot measure slitter rewinder efficiency effectively, meaning that quality control is limited and you can be left with less production. Additionally, slitter operators who are hired to further determine quality standards can spend up to 20-30% of their time simply looking at a monitor. Furthermore, about 6% of costly substrates which are laminated to waste cannot be recycled – this can translate into a waste cost above $120,000 monthly for 800 tons of bi-laminate PET/PET film and is simply valuable capacity spent having to convert waste. What can I do to eliminate costly waste? If you are looking to reduce waste, increase yields and limit customer returns, you can improve the process by detecting defective material and doctoring the issue BEFORE the lamination and slitting process. The Inspect S Machine, with its integrated DAC Crossover Camera, will provide you with 100% automated defect detection that will furthermore generate a roll map for selecting defects to be removed. This occurs before the slitting and lamination process. 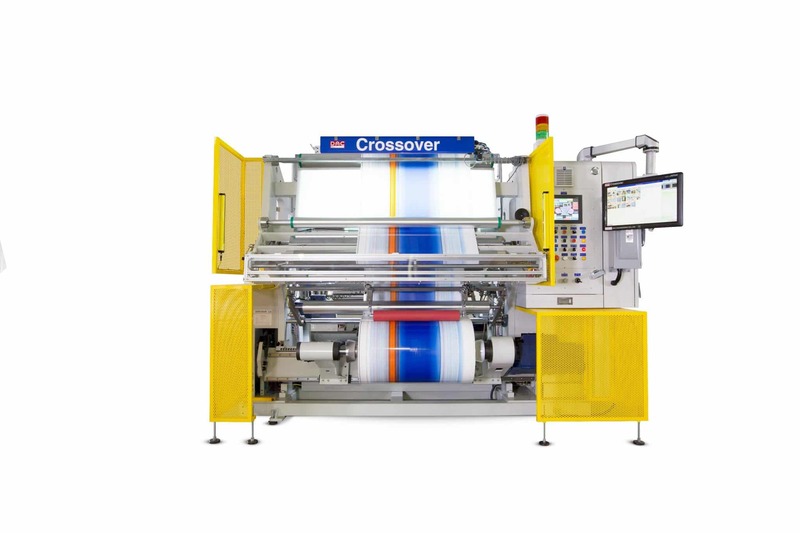 With the Inspect S Machine, additional slitter capacity is created and the roll diameter from printing press to laminator to slitter does not change. What does this mean? It means that no change in roll diameter is required for maintaining an efficient downstream process. In conclusion, using the Inspect S Machine means you will effectively reduce waste, process time, costly man-hours, customer returns and environmental footprint costs. Can I see the Inspect S Machine in action? We would love for you to take the challenge and measure the ROI of your packaging and inspection process by coming to the Karlville Technology Center and trying Inspect S Machine for a demo. The Inspect S Machine, with its 100% Optical Defect Detection with DAC Camera, is now part of the brand new, state-of-the-art Karlville Technology Center and can be viewed and tested along with many other machines installed in the premises. You will see first hand how this new technology can improve your process and how using an intelligent machine can allow you to create a quality controlled program that will reduce your environmental footprint while improving your bottom line! At Karlville, we are committed to providing cutting-edge technology that is able to support the market, specifically machinery that allows businesses to increase productivity while reducing the overall cost of production. Call us today at (305) 533-1051.